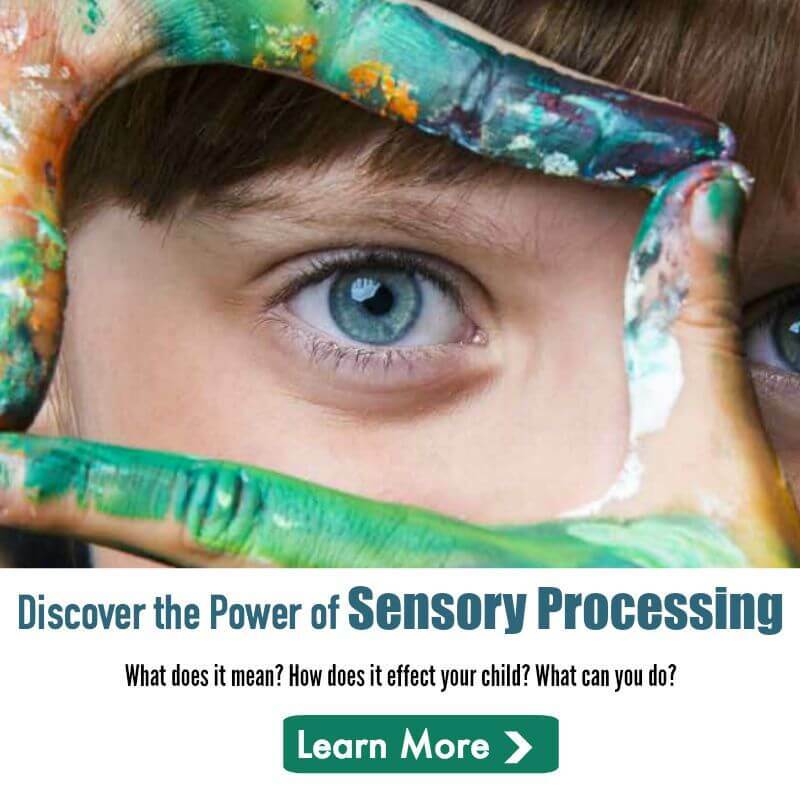 Sensory Processing Disorder (SPD) is a neurological condition that affects the way the brain receives messages from the senses and turns them into appropriate motor and behavioral responses. SPD affects more than one in twenty children– that’s one child in every classroom. Symptoms of SPD evolve over time. In infants and toddlers, symptoms may include: problems eating or sleeping; rarely plays with toys; resists cuddling; cannot calm self; floppy or stiff body; and motor delays. In preschoolers, symptoms may include: overly sensitive to touch, noises, smells, and other people; difficulty making friends; difficulty dressing, eating, sleeping, and toilet training; clumsy or weak; poor motor skills; in constant motion; in everyone else’s face and space; and frequent or long temper tantrums. Early diagnosis and treatment of SPD lays the groundwork for better school experiences. Many children and their families suffer needlessly for years because of unaddressed sensory issues. Children who receive treatment at younger ages – as infants or preschoolers – more quickly acquire the skills they need to succeed in school and usually have better experiences once they enter school. Parents need to advocate for their children to ensure they receive accurate diagnoses. Federal law requires and funds the screening of children with suspected disabilities and, if indicated by the screening, multidisciplinary assessment of preschool-aged children. Although sensory assessments are not specifically included in the screening, in many cases a child’s sensory challenges will be identified. More than 75 percent of children diagnosed with autism spectrum disorders have significant symptoms of SPD. However the reverse is not true. Most children with SPD do not have an autism spectrum disorder. Without treatment, children with SPD who perceive themselves as “failing” at everyday activities are at risk for other problems, such as social difficulties, academic under-achievement, and poor self-esteem and self-confidence. When children are diagnosed and treated at younger ages, they are more likely to escape this defeating cycle. Treatment for SPD typically involves occupational therapy (OT), which resembles playtime to parents watching an OT session for the first time. OT enables children to participate in the normal activities of childhood, such as playing with friends, enjoying school, eating, dressing, and sleeping. Children with SPD who do not receive treatment often attract negative labels such as “aggressive,” “weird,” “hyper,” “withdrawn,” or “anti-social” from peers and adults. 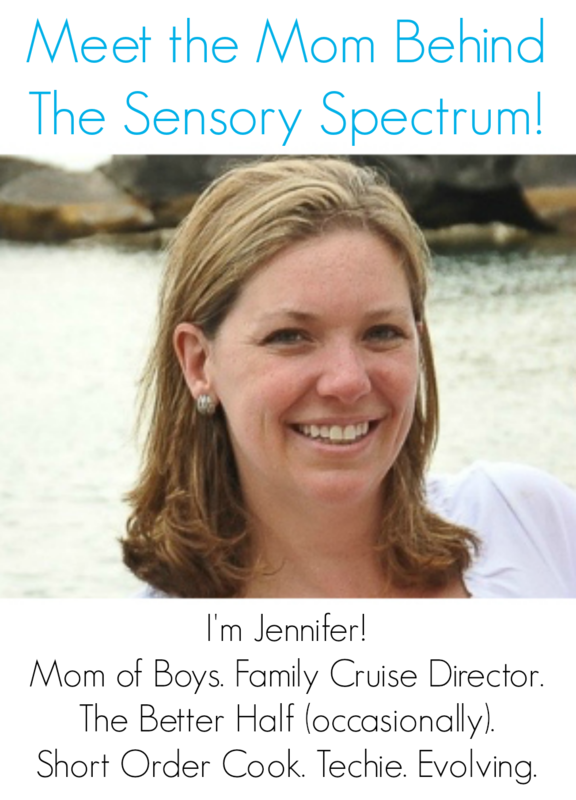 This post was created from materials provided by The Sensory Processing Disorder Foundation. I believe that this can be used as an excuse not to discipline children correctly. Telling these children that its okay to do that because its a sensory thing is giving them an excuse to act naughty. Stop trying to put this sickness on them and yes they will do naughty things all children do THERE CHILDREN!! there not angels everyday but they need to be properly disciplined so they can LEARN that it is not good to do that. Your making these kids have this disorder not them. Honestly makes me sick and I feel sorry for the kids. I don’t think problems with eating, sleeping, and low self esteem have anything to do with being “naughty.” Sensory issues have nothing to do with a child being bad. Apparently, you’ve never had a child avoid ice cream because it’s sticky, swings because they’re scary, or restaurants because of the noises. These are normal activities that should be enjoyable for children. I just want my child to enjoy normal childhood activities without feeling overwhelmed. As parents, it is our responsibility to help our kids get through this. My child does get punished when he is “naughty,” such as not sharing, hitting, or saying mean things, but his sensory aversions are no need for punishment and punishment will only make them worse. I feel sorry that you would perceive children with processing disorders as not properly disciplined. I hope that for the sake of your children they do not have this issue as you are an extremely uneducated and uncaring person to say the things you said. A child with a sensory and processing disorder doesn’t have control over the way they input sounds, tastes, smells, etc. They are innocent and need to be guided and helped patiently and lovingly. This is not an excuse not to discipline. This isn’t something they are doing on purpose, they cannot control it. I hope you will do some research and educate yourself before making ridiculous comments in the future. I would like to say so much more to you but I am holding my tongue. I am amazed that people like Hannah are so quick to ridicule a child with a hidden disability like SPD without first trying to understand what the disorder is! My grandchild who has SPD had a first and second grade teacher who was somewhat like Hannah! His self esteem and self worth were stripped from him. Her self-proclaimed educating self practically ruined him! She made him apologize for having fears he didn’t understand, for crying when other kids touched him because of the pain, for standing up when he couldn’t sit down, for crying when her loud voice hurt his ears! Hannah, this was emotional abuse in the worse form because it came from the mouth of an educated bully to degrade a 6 year old child whose 7 senses (not five like Hannah has) were in meltdown mode. The bad behavior you refer to in an SPD child or adult is called a sensory meltdown. It is not a temper tantrum because the kid or adult with SPD has no control over it! THAT meltdown is how their body self regulates. It is the saddest thing to witness! With understanding, patience, and therapy the child learns what the triggers are and ways to help their sensory self get back on track. With all the therapy, support system, love, and support these kids get there is no reason these kids can’t learn to exist and be happy in their own skin! However, with so many Hannah’s telling them they are just bad seed and need to be held accountable for being bad….is like punishing a blind person because they stumble, trip, and fall because their eye sight didn’t develop! Hannah, shame on you because it is people like you who judge without any medical knowledge, with only “your opinion” and harsh words to a child or his mother leaving a horrible imprint on the mind of someone whose emotions are already fragile! I challenge you to write another reply after you have researched and spoken to children, parents, OTs, doctors, neurologists, vision therapists, special ed teachers, and other adults who grew up with SPD and didn’t have the advantages our kids have today! You need to hear what they have to say. After all, you ‘ve said how you feel about them! First of all Hannah, learn a little grammar before you begin spouting off about something you obviously know NOTHING about. You are ignorant on the matter, and it infuriates me when ignorant people speak on this subject…and even more so when they lack grammar skills. It is apparent that you have never raised a SPD child, or you would know how stupid you sound. Looks like you should’ve been disciplined. If you don’t have anything nice to say don’t say anything at all applies here. Some of us have multiple children and only one of them are dx with this and all are disciplined the same but their reaction and understanding isn’t the same. So your comment is invalid. Don’t speak about what you don’t know about. Kids are not robots so stop treating them as if they were. You seem to have grown up in the “children are to be seen and not heard” era. Which is an old concept. My son opened my eyes to an amazing and renewed understanding of life, oh and I am 41 and also have SPD. Kids are not brats for no reason. There’s a reason behind their behaviors we’re just understanding them. I am grateful that my son has a parent like me who tries to understand and help him which in turn is helping me take a step up and understand the who’s what’s and why’s of feelings and behaviors. Things I was not taught, opportunities that could have been learning experiences and parent-child bonding missed. Nights where I laid in bed silently crying as a child wishing I was dead because I was a failure and stupid. I feel sorry that you are going thru life so narrow sighted. I am thankful that I have a new understanding. Hey Hanna, I hope you don’t have children.. My 6 year old has SPD so severely that look of confusion and sometimes disappointment in his eyes tears me apart. I wish it was just a disaplinary problem so I could fix all my little boys problems. Lashing out at you or being angry with you for being undereducated about medical / neurological issue you obviously have never had to deal with , is not going to change the fact that my bright little boy will struggle with this daily and meet many people like you along the way.. Good thing I teach my children to feel sympathy for you not anger…..
“Hannah” = troll, thank you to the real parents for sharing!